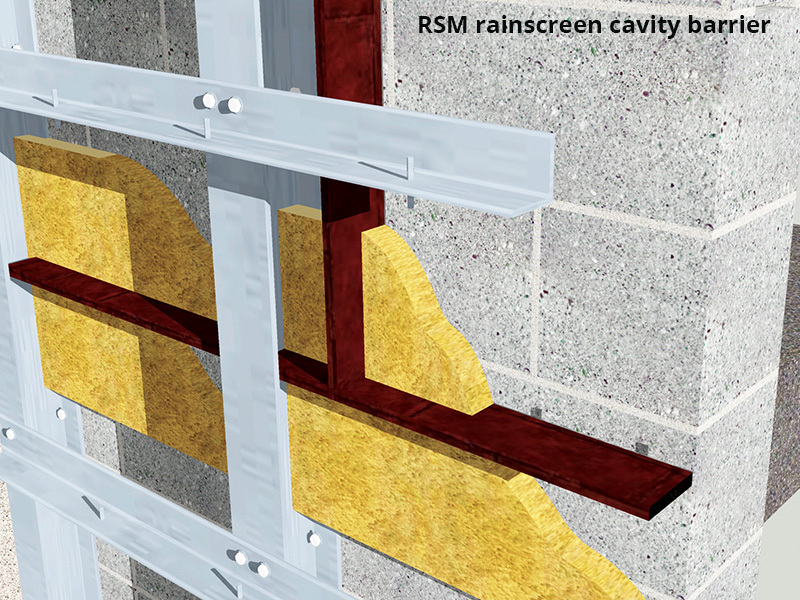 A range of flexible, moisture-resistant cavity barriers for providing an effective fire and smoke seal in the cavity between brick or block walls and rainscreen cladding. 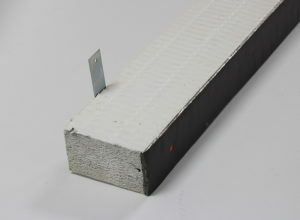 A barrier consisting of an intumescent strip faced with high tensile foil, which expands to create a powerful fire and smoke seal. Available in a ventilated form with two rows of holes (RS/VWB), or faced with a cavity strip barrier (RS/WB/CV) which will expand outwards in a fire to seal off larger cavities. 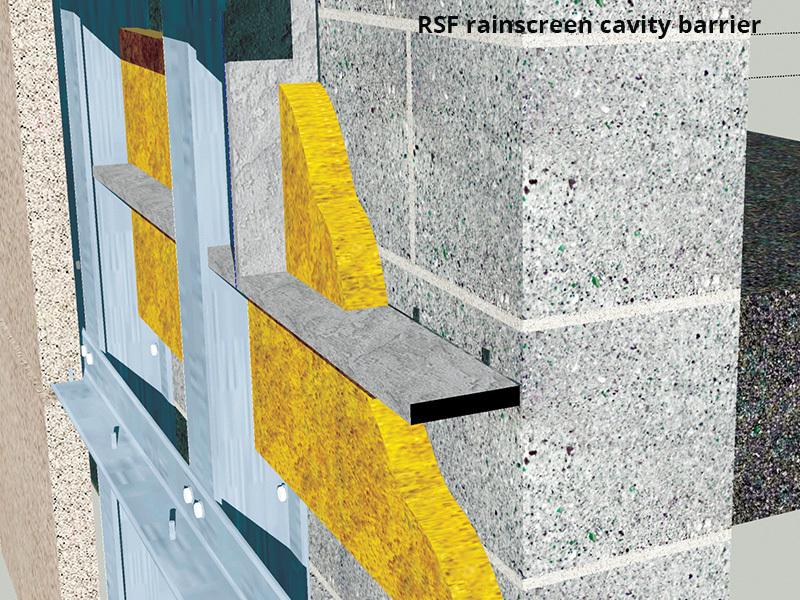 Can be fitted with either washer fixings or bracket fixings, depending on the width of the cavity. 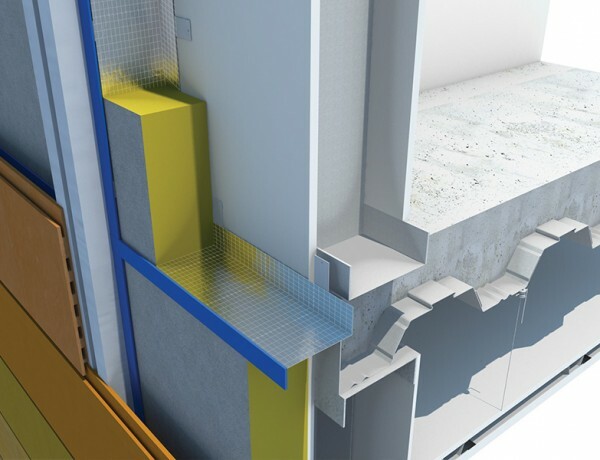 Intumescent impregnated sponge barriers with fire and smoke stopping capabilities, clad in either moisture resistant foil (RSF) or a durable, intumescent-coated material (RSM). 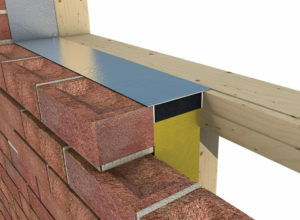 Available in a ventilated form fitted with one or two rows of holes (RSF/A and RSM/A), both of which are fitted a rubberised intumescent strip. 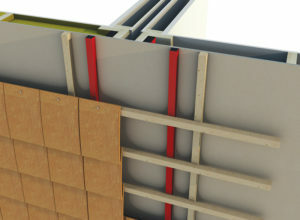 Also available with a thick, front-facing strip of intumescent which will expand outwards in a fire (RSF/I and RSM/I). All are fitted with bracket fixings. 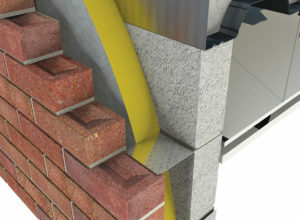 Tested to BS EN 1363-1 (1999), achieving up to 132 minutes protection. Tested to BS476 Part 20, achieving up to 66 minutes protection.